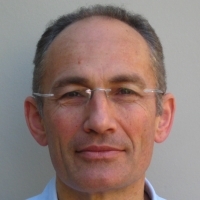 Nicolas De Kouchkovsky is the founder and principal at CaCube Consulting. He is a Fractional CMO for B2B SaaS companies, covering all aspects of marketing and market development. Nicolas works as a VP of Marketing on demand for startups or on a project basis with larger companies. Nicolas has extensive software experience at companies of all sizes. Nicolas was head of product management at Genesys where he transformed the company from Computer Telephony Integration (CTI) middleware to a Software Application provider. Later, as Chief Marketing Officer, he drove the company expansion in the broader multi-channel Contact Center market. Before joining Genesys, Nicolas held several senior positions at Alcatel-Lucent, Cirel, and Hewlett Packard Enterprise. Nicolas is a recognized industry expert in customer facing and customer engagement technologies including Sales, Marketing, Customer Service, Communications, Contact Centers, and Artificial Intelligence. He has authored several market landscapes.